Minnie ears. Minnie ears. Minnie ears. WHY THEY SO CUTE? 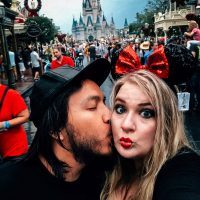 It’s no secret that I’m obsessed with Disney, and on instagram I literally follow HUNDREDS of Disney-themed accounts, everything from merchandise to art to lifestyle. If you’ve landed on this post, I’m going to take a giant leap and say you probably understand the feeling? Surprisingly, it actually took me until our Disney trip last year to purchase my first pair of Minnie ears which I bought in the parks, but I saw a bunch of people with custom ears and I was just like…. WHERE DO I FIND THOSE?! Of course, I scoured the ‘grams and found a hundred more Disney accounts to follow (no complaints there!) and I was able to find some incredible, talented shops selling the most beautiful, fun, custom, and unique Minnie ears! 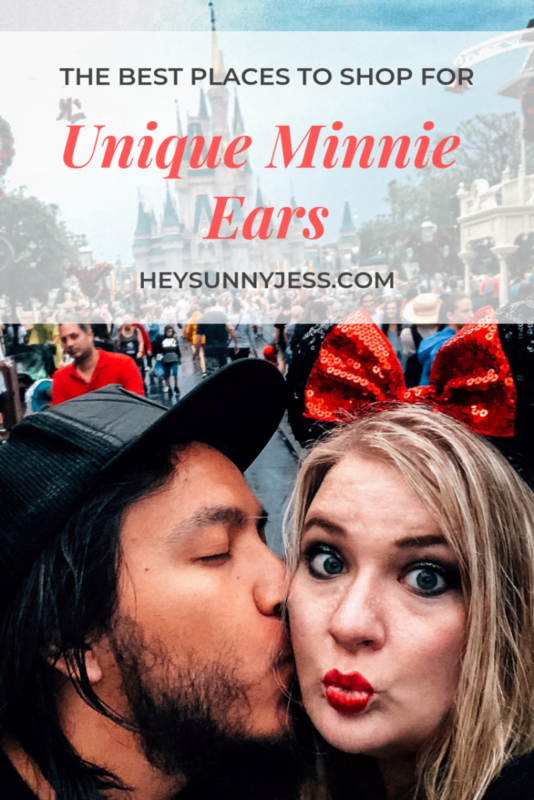 I know I’m not the only Minnie ear lover, so I thought I would share some of my absolute favorite shops with you to help you in your search for the perfect pair! All of these shops and the makers behind the shops are incredibly talented and I really would love to own a pair from every single one of them! All photos from We’ve Got Ears’ instagram. 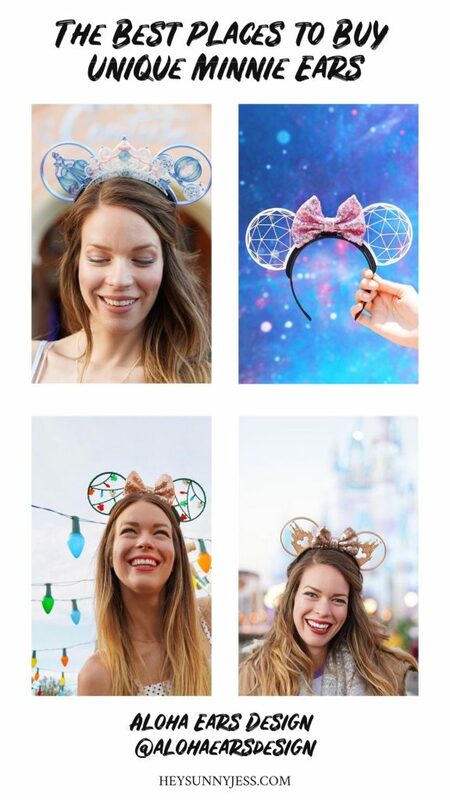 The thing I love about Emily’s shop, We’ve Got Ears, is that she does a ton of illustrations and Disney-inspired looks that she transforms into ears! They’re totally unique and she has a ton of cute headbands, too. See her shop on instagram. Photos from Mainstreet Marvels’ instagram. I think my favorite designs from Mainstreet Marvels are the ones including some of the non-traditional characters- which is SO creative! I love seeing the not-so-famous characters coming to life on a good set of Minnie ears! My favorite ones here are the “I lava you” ears- tell me those aren’t THE cutest? Check out Mainstreet Marvels on instagram. Photos from Enchanted Alexandra’s instagram. 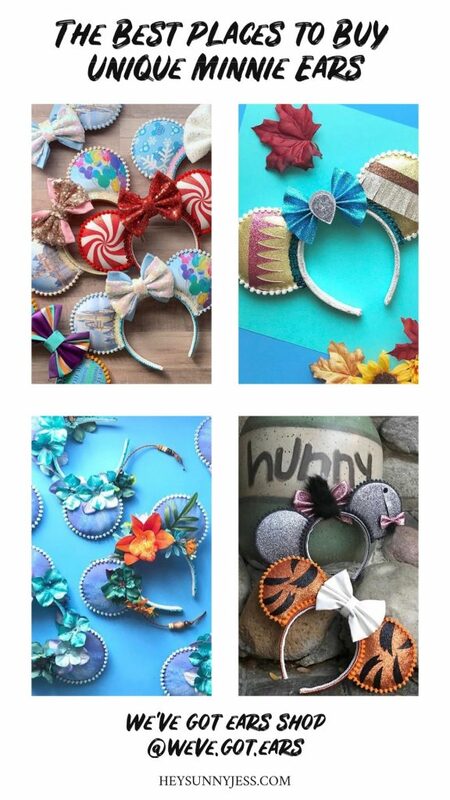 I love the wide variety of Minnie ears that Enchanted Alexandra sells! 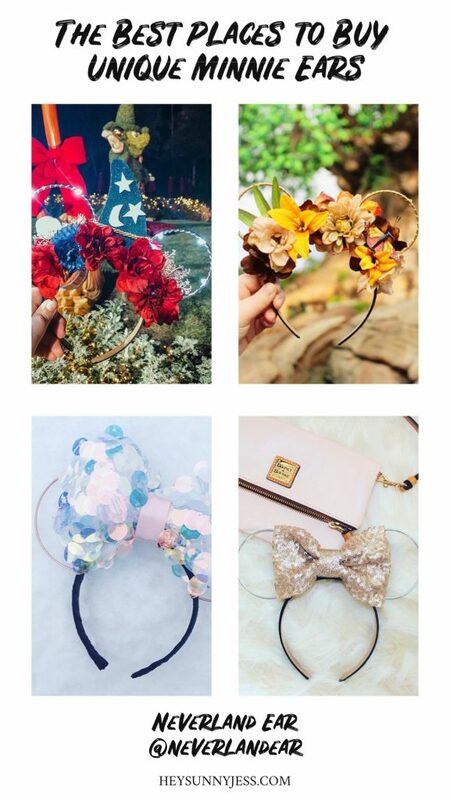 You’ve got everything from traditional style ears to wire ears, flower ears, 3D printed patterns, and more. 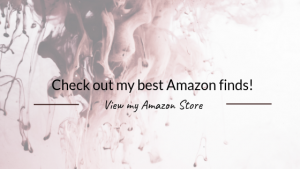 It’s a great one-stop-shop if you’re looking to purchase multiple pairs for people with different tastes and styles! Check out Enchanted Alexandra on instagram. All photos from Unique Ears by Ili’s instagram. Hands-down, the most accurate-to-screen based character ears that you’ll find anywhere. Unique Ears by Ili does incredibly detailed work to provide high-end screen character ears and a handful of other really cute ear designs and headbands. 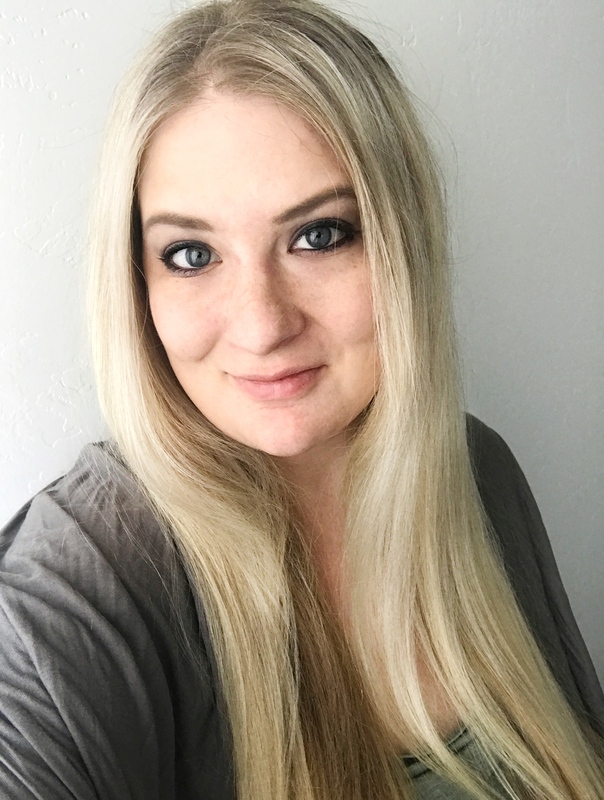 She can custom make any character you’re interested in, but you’ll definitely want to plan in advance for these because they are high in demand and she can only take so many custom orders at one time. Make sure to check Unique Ears by Ili on instagram. All photos from Neverland Ear’s instagram. If you’re like me and LOVING the wire accessory trend, then you’ll definitely want to check out Neverland Ear. This shop makes some of the cutest wire ear designs using a no-bend wire and they are magical. See more on Neverland Ear’s instagram. 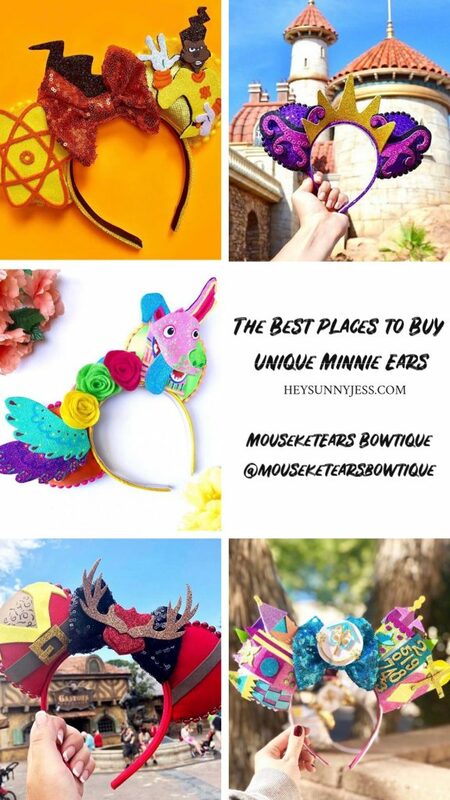 All photos from MouseketEARS Bowtique’s instagram. The thing I love about MouseketEARS Bowtique is how the ears are created with certain characters or attractions in mind, but still have their own fun flare and personality. Plus they are the only shop I’ve found with a set of Powerline ears! Check out MouseketEARS Bowtique on instagram. 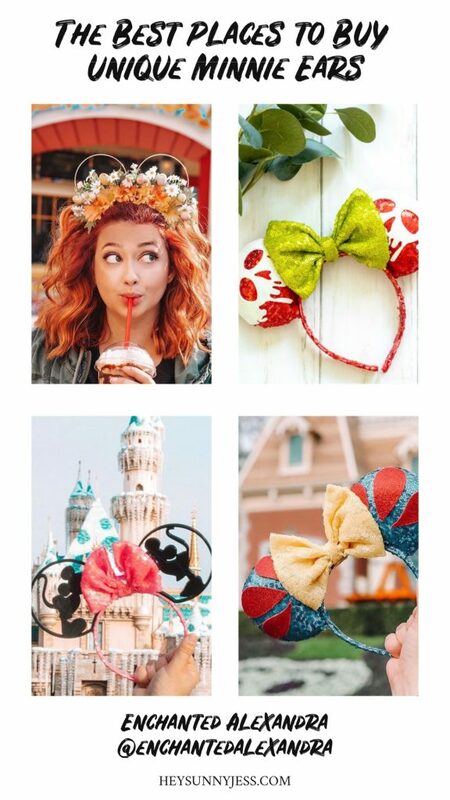 All photos from Pinnie Mouse Trading Co.’s instagram. Three words: CORK BOARD EARS. 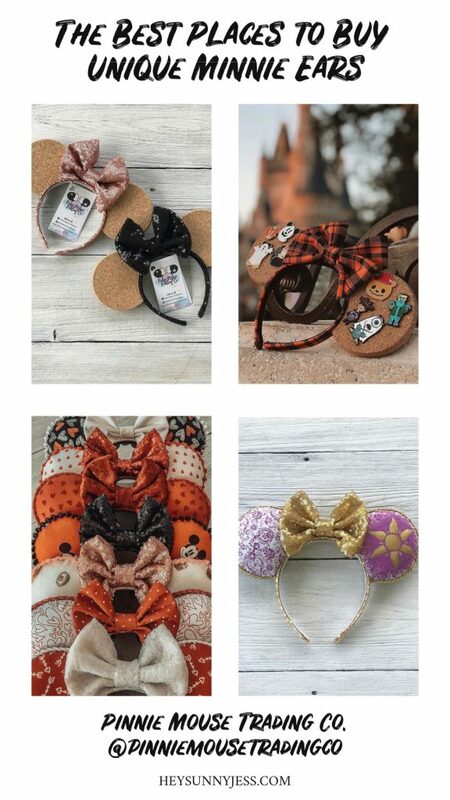 My cute friend (@mickeylovinmomma on instagram) started Pinnie Mouse Trading Co. and makes the cutest fabric and cork board ears so you can put your favorite Disney pins in them and wear them around on your ears! How genius and adorable is that?! Make sure to check out Pinnie Mouse Trading Co. on instagram. All photos from Imaginex Ears’ instagram. I found the Beauty & the Beast stained glass window ears on Imaginex Ears and legit lost my mind. Aren’t they gorgeous? The thing I love about this shop is that they do 3D printed INTERCHANGEABLE ears! 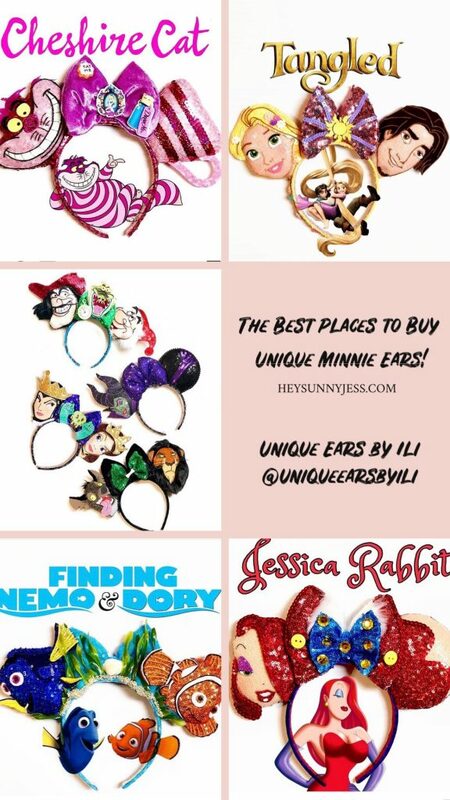 So you can buy a few of your favorite sets and swap the ears out on the headband, and they have tons of options! Very cool and perfect for a trip that lasts several days where you might want several looks. 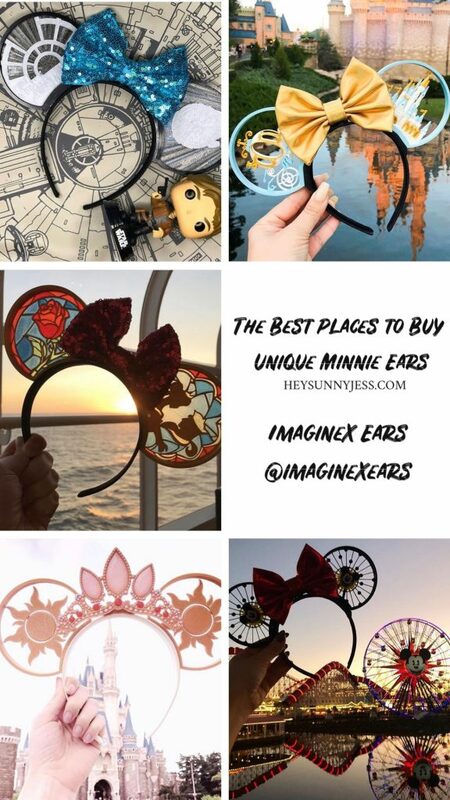 Find Imaginex Ears on instagram. All photos from Aloha Ears Design’s instagram. 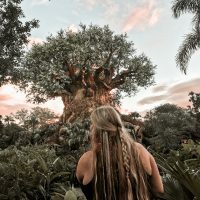 Aloha Ears Design takes a unique perspective on the way they style their Minnie ears and it totally pays off, their designs are so creative and bold! For example, they have some really amazing pirate doubloons (spellcheck that?) ears, and Dino-land ears, they go above and beyond to take the non-traditional route and create some truly beautiful ears. Check out Aloha Ears Design on instagram. All photos from Chaos and Couture’s instagram. In addition to being “home of the LED silhouette ears,” (which is AWESOME btw, check out those alien ears! 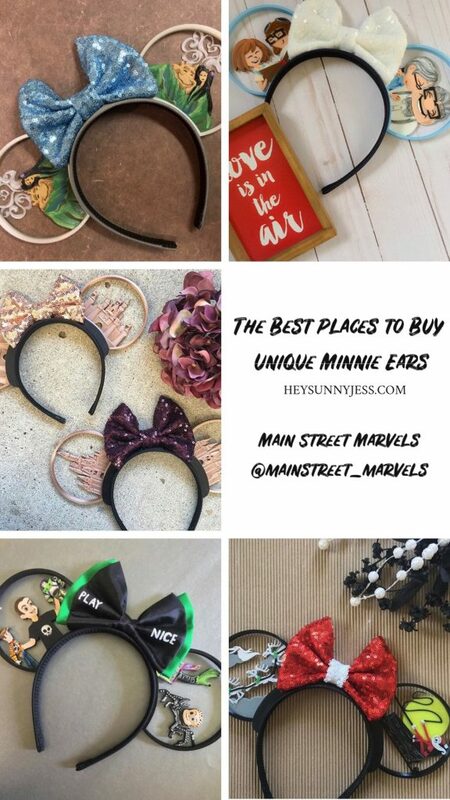 ), Chaos and Couture has a large selection of ears for people that love some of the franchises Disney owns, like Marvel and Star Wars. 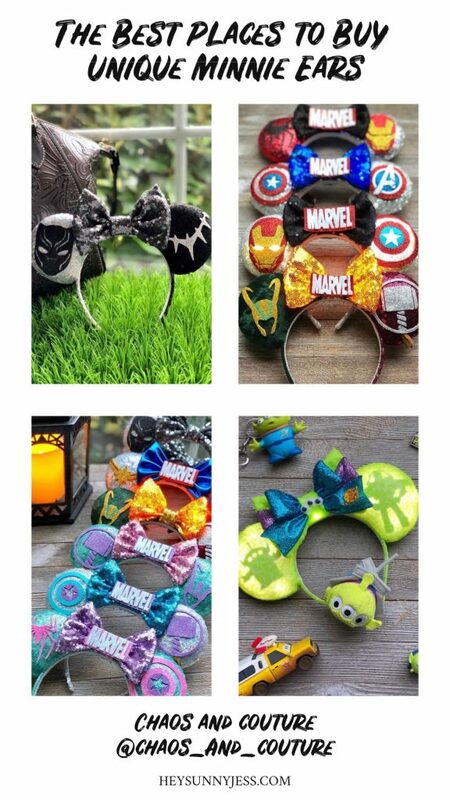 I love that they go beyond the “normal” Disney ears and include these because I’m a huge Marvel and Star Wars nerd as well. Check out Chaos and Couture on instagram. 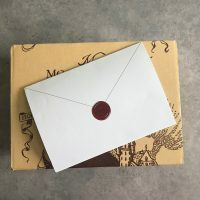 « Gift Ideas to Boost Confidence for Anyone, Including Yourself!